Thanks to our SPSL Community for supporting our Scholastic Book Fair. Your support allows us to purchase new books for our library. We will also add to our digital library. 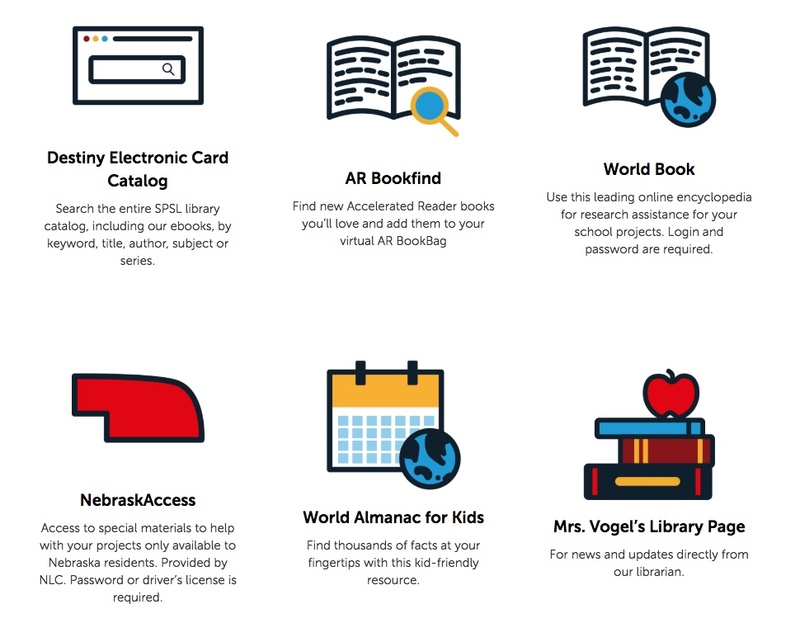 You can access the SPSL Digital Library under the LIBRARY page on our school website. Check out the LIBRARY page under the MENU in the upper right hand corner of our website. Not sure how to do that? Ask one of our second thru eighth graders to help you! 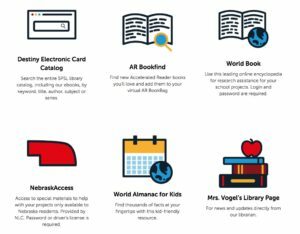 The LIBRARY page has a variety of resources for students to use at home. One of the highlights of the school year is Book Fair Week! Plan to come to our Family Night on Thursday, February 28. The Book Fair will be open from 3:30-7:30. “Dinos on the Loose” Presentation from the Omaha Children’s Museum at 6:30 in the Parish Center. The Online Book Fair will not be available this year but come visit the book fair in the school library. I have shared the information with many of our students. If any students want to enter the contest, they can bring their artwork to me. Attached are two websites to visit regarding the contest. 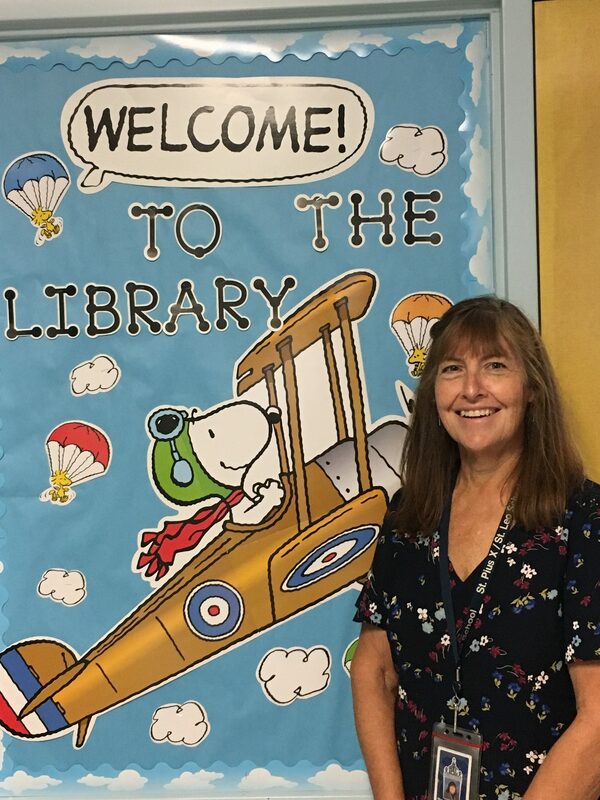 The 2018-2019 school year will be my 29th year as the Library Media Specialist at SPSL. I hold a Master's degree in Elementary Education with endorsements in Educational Media and English Language Learning.